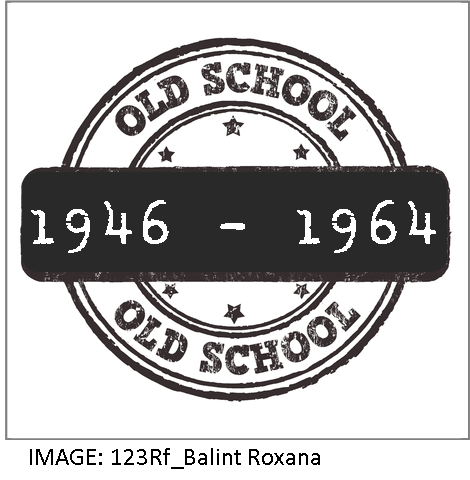 Boomer “Generation” vs. “Cohort” – dude, does anyone really care? Dissed as too old to adopt new behavior, as devastating to product image and as infuriatingly slow to switch brands, folks outside the 18-49 demographic score low on the cool rating scale in marketing and tech circles. 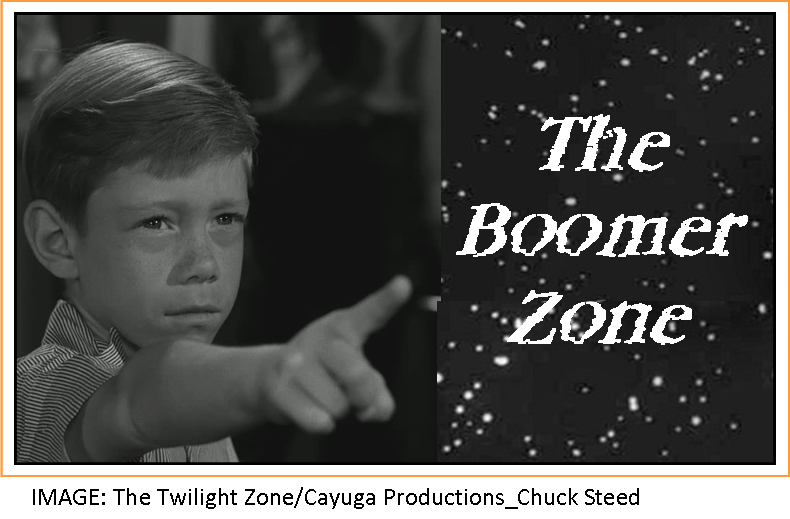 No surprise, hip elites from Madison Avenue to Palo Alto, and from CES to SXSW, have banished the Boomers to The Twilight Zone of assisted living facilities across the country. Florida soon may sink into the ocean under the weight of the incoming hordes, clutching oxygen tanks and shuffling to the rhythm of a disco beat on their vintage Sony Walkmans. WASHINGTON, DC—After decades of waiting, the much-anticipated mass Baby Boomer die-off should finally commence within the next five to ten years, Census Bureau officials said Monday … the curtain will at long last fall on what is regarded by many as the most odious generation America has ever produced. So, who are these people who evoke such dismissiveness among the smarty-pants class? 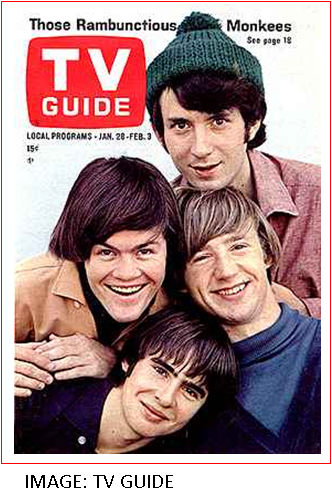 For starters, they’re not limited to the conventional definition, born 1946-1964. That was just a handy age bracket chosen by the US Census Bureau to assess the future economic impact of high post-WW2 births. In fact, the Bureau refers to the Baby Boom cohort – key word, cohort – not generation. 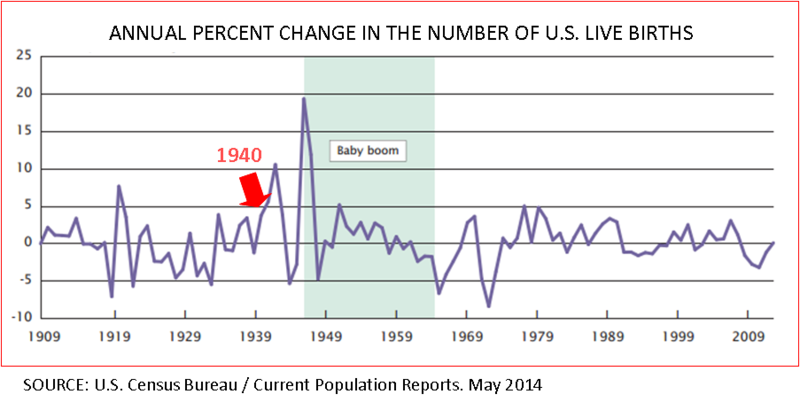 The US birth rate boom began not in 1946 but in 1940, when the depression-era decline finally turned around, jumping by 5% over 1939. By 1942 the annual growth rate soared to an unprecedented 10% before WW2 briefly interrupted the boom. Believe or not, traditionalists shove these greats into the Silent Generation (beginning ≈1922/25). Bro, whatever these cool cats were, silent sure ain’t on the list. 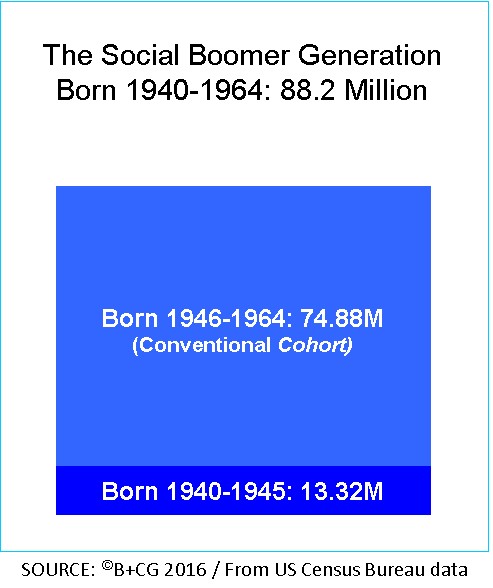 So, forget what you’ve heard about 75 million members of the 1946-1964 age cohort, the social Boomer generation born between 1940 and 1964 numbers 88.2 million. As if piling millions of extra Boomer-Plus consumers into the The Onion’s most odious generation isn’t gross enough, as the infomercials say, wait, wait there’s more! Blindly obeying 18-49 demo dogma, mainstream brands are now dumping Gen Xers as they cross the 50th birthday divide. Madison Avenue rules with an iron hand; from here on, they’ll only see themselves in ads as dithering grannies who can’t do Snapchat and geezer curmudgeons with issues best glossed over in polite company. 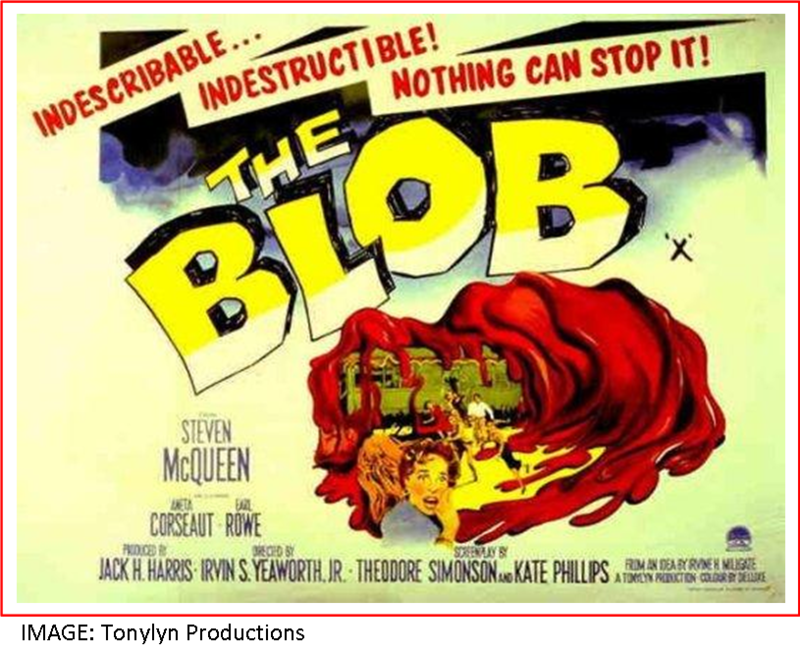 Like the hungry mass in the sci-fi classic, The Blob (1958), the Boomer-Plus Generation now guzzles up Gen X exiles faster than you can say alien life-form. Some 8.5 million Xers will have been absorbed by the end of 2016. Yum! And these Boomer-Blob absorbees assimilate rapidly, finding themselves surprisingly at home. You see, Planet Boomer is actually the world in which they grew up; optimistic, adaptable, TV-oriented, youth-focused and over-shadowed by Cold War tensions until the Soviet bloc dissolved in the early nineties. And, in the final step to Boomer-Plus bonding, they are ostracized by adland simply because they’re over fifty. Thanks to 18-49 myopia, the 88 million Boomer-Plus Generation will have expanded to over 96 million by year’s end. Last month AARP issued its 2016 update of The Longevity Economy, a treasure trove of data on the 50+ population – folks who possess 83% of US household wealth and about buy half, or more, of most everything sold in America. The Boomer-Plus Generation represents the lion’s share of this awesome market. At 96 million members, as a country it would be the 15th most populous on Earth (CIA World Factbook); as an economy it would be the world’s third largest. With a Netflix/Amazon-driven resurgence in mid-century sci-fi, we are already seeing some savvy young adland/techland Millennials checking out our awesome alien world. Don’t be scared. Come on in – you may never want to leave.